Fatboi Fresh, Boldy James, and Mic Terror come together for "Don't Een Trip". Back in 2013, Fatboi Fresh and Boldy James collaborated on "Money", and today they've joined forces once again for the busy mixtape cut, "Don't Een Trip". Featuring some guitar-tapping paired with some hard 808s, the beat is reminiscent of the work of Beat Blockaz, who are know for their work with G-Side. As frenetic as the backdrop is, Boldy and Fatboi remain poised with their elegant D-Boy boasts. 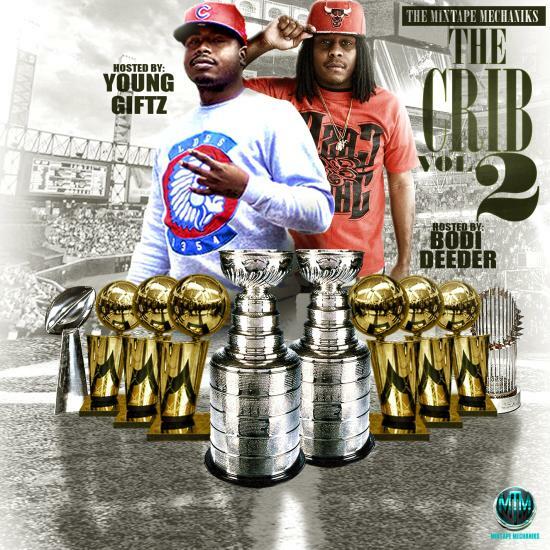 The track appears on the brand new Crib 2 mixtape from The Mixtape Mechaniks, which is available now. A few weeks back, Boldy teamed with Harry Fraud for "50 Foot Razor Blad". Make sure to check that out here.